As Thalaivar gets ready for Kaala’s release, the post-production work of 2.0, directed by Shankar is in full swing. As the entire world is gearing up to see Kaala Karikaalan’s swag on June 7, superstar Rajinikanth’s upcoming flick 2.0 is inching towards completion. Director Shankar is busy overseeing the post-production work happening across the globe in several studios. According to latest reports, Rajinikanth’s character Chitti will attract a lot of eyeballs. 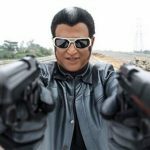 In fact, it is said that he wore a 40 kg outfit for Chitti’s character in 2.0. On top of wearing such a heavy outfit, Rajinikanth performed a few stunt sequences, which will be the highlight of the film. It is said that Rajinikanth himself enjoyed performing these stunt sequences and is confident of the film’s success. 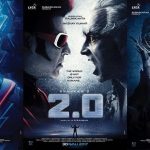 The film, 2.0 imparts a global message, director Shankar revealed at the audio launch held at Dubai. 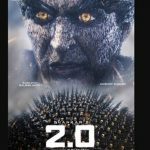 Further, he added that the film isn’t a continuation of its prequel Enthiran that released in 2010. 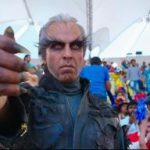 2.0, produced by Lyca Productions on a mammoth budget of Rs 400 crore, is expected to release on Diwali 2018. An official announcement regarding the film’s release will be out in the coming months.